Kallpay Warmi is the only Indigenous festival of its kind in Peru. It serves to cultivate and conserve identity, traditional knowledge and practices, promote awareness of the struggles of Indigenous communities, as well as bridge rural and urban Indigenous communities through solidarity building. 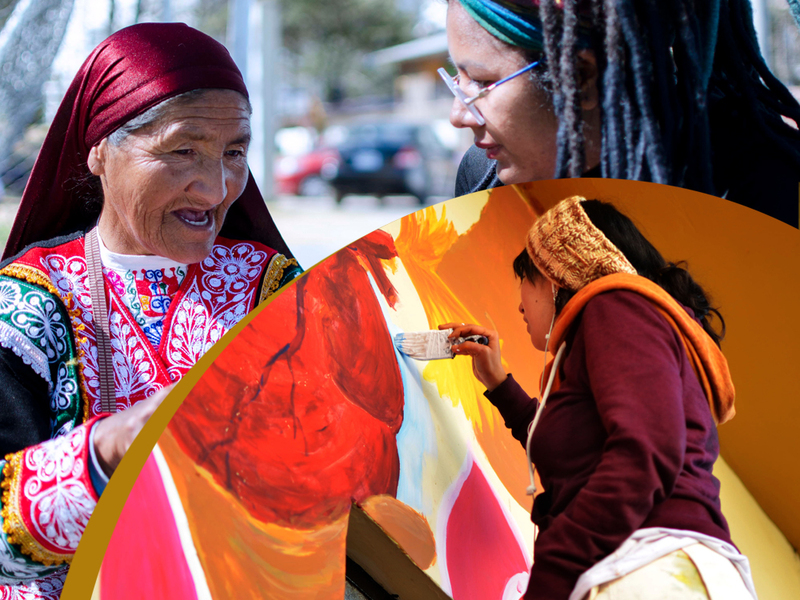 The festival offers a diverse range of activities ranging from the screening of Indigenous cinema to the collaborative creation of murals to workshops and traditional rituals. There are also conferences, in which Indigenous people have the opportunity to listen and engage with members of different communities to learn more of what is happening across the region. The idea is to create spaces for solidarity building not only between urban and rural Indigenous communities, but also between communities involved in similar struggles. Everyday there are more and more Indigenous families are being forcibly displaced due to environmental and economic pressures, and entire communities are being forced or bought out of their lands by private companies. Normally, what happens in rural communities tends to be known only within those regions and the abuse those communities experience is endured alone. This festival offers the opportunity for people to gather together to share experiences, healing, traditions, and solutions.